It is June, it is my favourite month of the year. And its been a busy time for poetry in the headlines. On one end of the week poetry wept and said goodbye to the great Maya Angelou. A woman that achieved so much in one lifetime, that managed to do it all, to be both accepted by academia and to be true to her roots, a spokesperson for black rights, women's rights, for poetry, for literacy, a truth slayer and a bold heart. And on the other end of my timeline this week, poetry is bickering over shiny prizes and that Paxman article. Although we all felt that we knew Maya Angelou, that she narrated our struggles and told our universal story as women, we must not forget she was an American. This Paxman article reminds me that there is still a long way to go here in England. That we seem to be a little obsessed with boxes, the neat compartments we use to reward and label books, poetry, prose and spoken word. 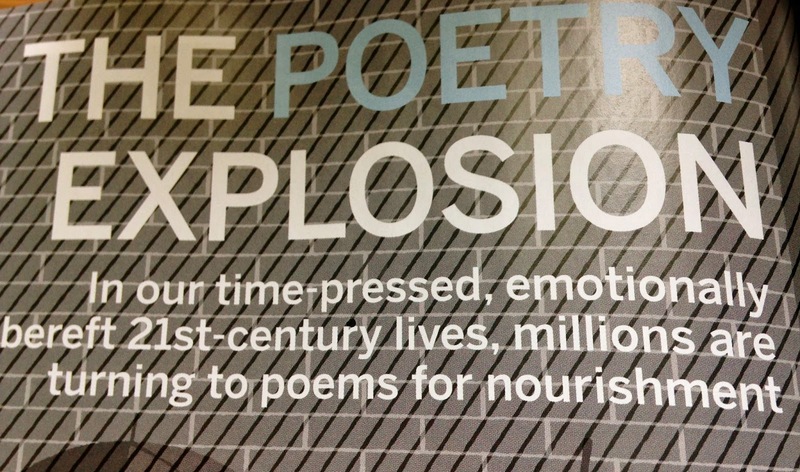 How come we are still arguing over the meaning and relevance of poetry? If you want to read about poetry this week, may I suggest you get NEWSWEEK June 6th issue. Howard Swains article this week is a more researched and balanced story. Howard Swains came to Bang Said The Gun, watched the show and interviewed real live working poets. Howard Swains wrote "Salena Godden first received payment for her writing at school when she would exchange poems for cigarettes on Valentines Day, but now subsists through her writing, performing, broadcasting and journalism. She is by turns contemplative and lewd, committed to the written word but also a natural performer. 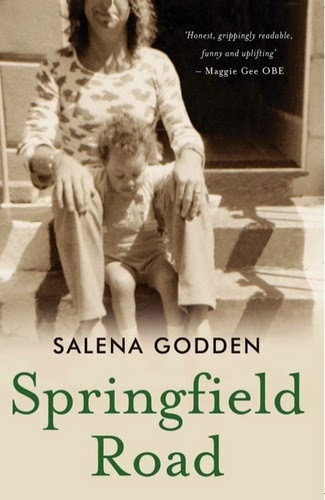 "You can't be that mysterious poet anymore, you have to roll your sleeves up, do gigs, get on twitter, promote your books," Godden said "How else are people going to know what you're doing? 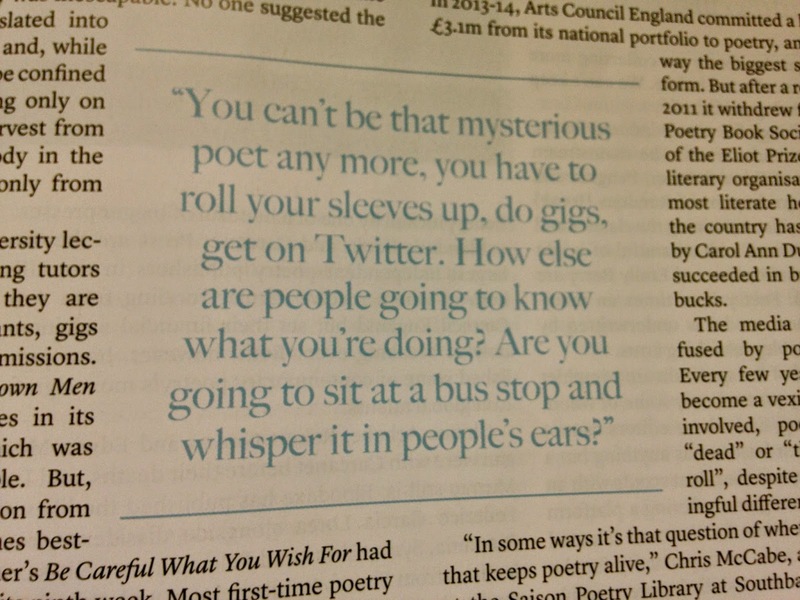 Are you going to sit at a bus stop and whisper it in people's ears?" I mean that the days of pontificating about a field of daffodils are long gone, that for me, the reality of making a life being a poet had me crashing down to earth with a bump a long time ago. For the record I have no agent and no manager, I do all of this on my own, if you think I'm busy, its because I am. I built this city on rock and roll, one gig at a time, over twenty years, and I still feel like I have such a long way to go until I can rest. I'm now daydreaming that Jeremy Paxman will show up in the poetry tent at Latitude this summer, wouldn't that be wonderful. I warmly invite Mr Paxman to any of my gigs listed below - I will be reading poetry on BBC Radio 3's The Verb on June 12th. I am also discussing the N-Word with a new commissioned poem and an excerpt from 'Springfield Road' on BBC Radio 4 on June 21st. And as for the Forward Prize furore, to be honest, I'd rather focus on the great poetry that has been shortlisted, I am a big fan of all the judges, Jeremy Paxman, Cerys Matthews, Dannie Abse and Helen Mort - And I hope that dear Hugo Williams wins. The late, great Maya Angelou has left a huge hole, I felt safer knowing she was there, without her the world is suddenly more white bread than ever. May her spirit and influence live on. Keep on, keeping on, supporting independent publishers who are working hard towards getting new voices heard and published. Keep working hard to narrate the times, to tell the truth about the rise and the fall, about the spread of fear and ignorance, the war on reading and the policing of books in schools and prisons. There are so many poems to be writing this week, poems about those poor Indian girls that were gang raped and lynched or the two-hundred missing school girls. These are ordinary poems, they are about the day to day, the atrocities, the murders and the lies and the greed, and the beauty and the pain and the love. When I woke up this morning I was going to write a poem about Mr Paxman, but I wrote this blog instead, it all feels a bit like licking the fuzzy end of the lollipop.